Lucy Lawless (“Salem,” “Spartacus",Xena:Warrior Princess) will play the role of Ruby in the STARZ original series “Ash vs Evil Dead.” The series is the long-awaited follow-up to the classic horror film franchise The Evil Dead and is set to film on location in New Zealand this spring and premiere on STARZ in late 2015. Ruby is a mysterious figure who is myopic in her quest to hunt down the source of the recent Evil outbreaks. The only problem: she believes that Ash (Bruce Campbell) is the cause of it all. Lawless joins previously announced cast members Bruce Campbell (Ashley J. Williams), Ray Santiago (Pablo Simon Bolivar), Dana DeLorenzo (Kelly Maxwell) and Jill Marie Jones (Amanda Fisher). “Ash vs Evil Dead” will be 10 half-hour episodes. 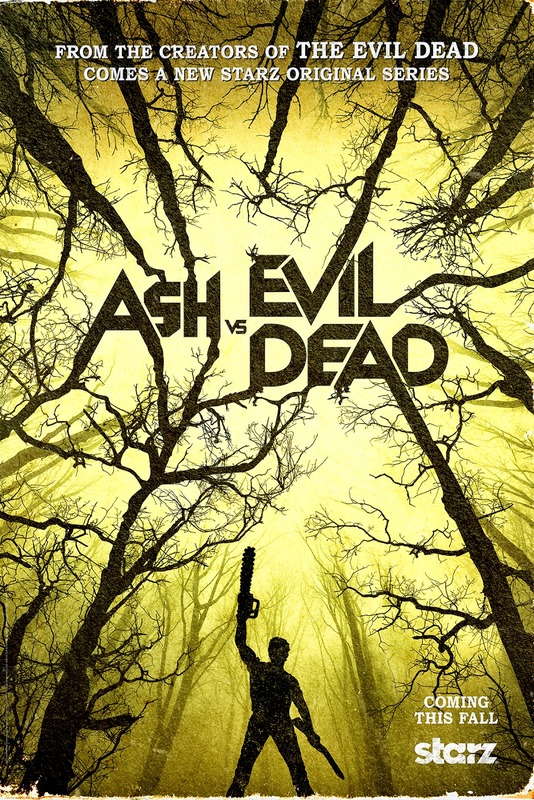 Bruce Campbell will be reprising his role as Ash. Raimi will direct the first episode of “Ash vs Evil Dead” that he wrote with Ivan Raimi (Darkman, Army of Darkness, Drag Me to Hell), Craig DiGregorio (“Workaholics,” “Chuck”) and Tom Spezialy (“Chuck,” “Reaper,” “Desperate Housewives”). Raimi will also serve as executive producer, along with Rob Tapert (Evil Dead, “Spartacus,” Xena: Warrior Princess”) and Bruce Campbell (Evil Dead, “Burn Notice”) along with Craig DiGregorio (“Workaholics,” “Chuck”) who will serve as executive producer/showrunner. Ivan Raimi will co-executive produce and Aaron Lam (“Spartacus”) will serve as producer.